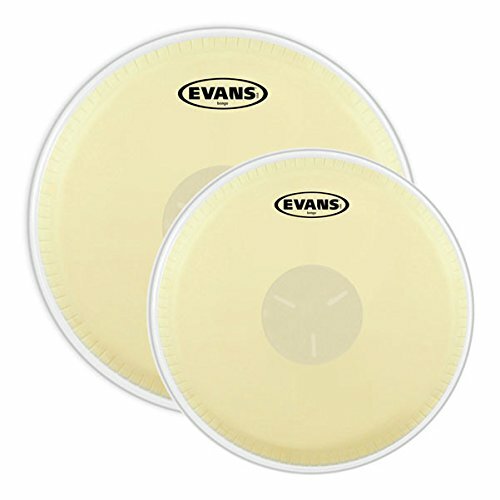 Evans improved EC2 drumheads contain Evans' exclusive and patented Sound Shaping Technology (SST). 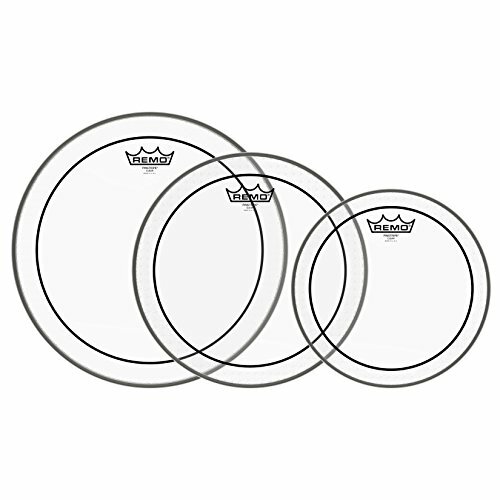 Sound Shaping Technology allows the drumheads to be fully optimized for each individual size by varying the thickness and density of the damping material, ensuring greatly improved performance and tone across the entire kit. 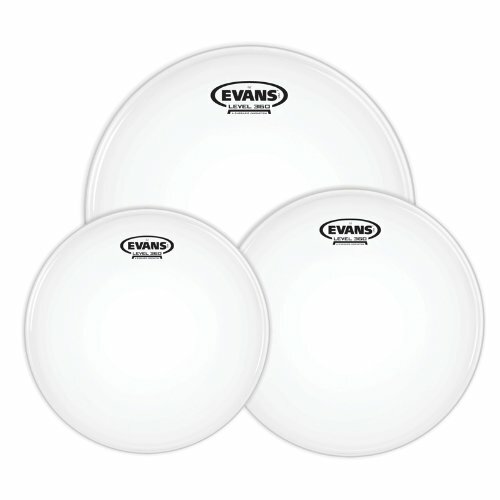 Unlike other heads that lack SST, Evans EC2s contain the ability to balance attack and tone for each size. 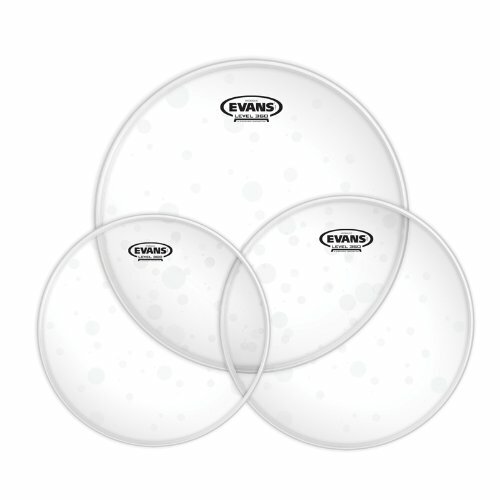 The result is a drumhead series fine-tuned for attack, tone, length of sustain, and ease of tuning. 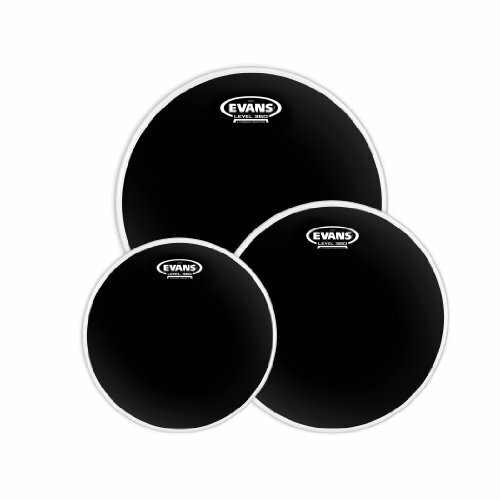 Packed with a more balanced and pre-EQ'd sound across the full kit, the Evans EC2 with SST will make your toms sound better than you ever thought possible. A perfect blend of depth, sustain, and attack…the G2 is a two-ply head (7mil each) featuring extraordinary consistency and durability. 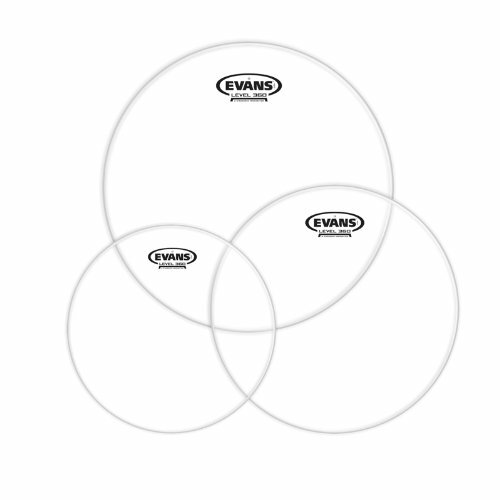 Its versatility makes it a perfect choice for the working drummer who switches between styles. It makes rack toms sing and floor toms growl. The coated version delivers additional warmth, focus, and depth. Hydraulics feature two plies that sandwich a thin layer of oil and give the fat, deep, and short sound pioneered by early 70's rock and roll. The oil decreases sustain and enhances attack and low-end. Additionally, Hydraulics are famously easy to tune...making them a perfect fix for troublesome drums and younger players looking for instant sound. The Tri-Center Bongo heads are laser-cut for precision and employ the Tri-Center dot to eliminate unwanted overtones and enhance fundamental. The heads respond in clean pitches and feel good to the hands. 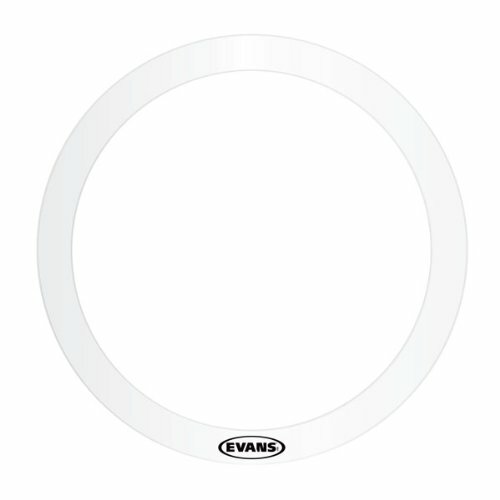 The E-ring is an easy-to-use external overtone control ring which "floats" on the surface of a drumhead. 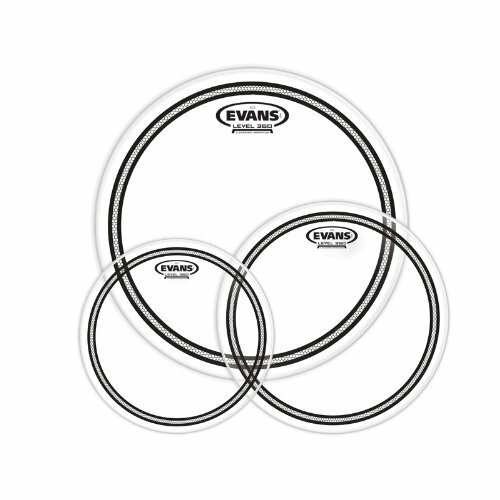 It rounds out and flattens the drumhead's sound and allows for easier tuning. Clear Pinstripe heads are made with two 7-mil Mylar plies, and have quick decay, making them ideal heads for the fat sounds of Pop, Rock and R&B and for those who want a low pitched sound with moderate attack and response characteristics. The onyx tom heads are designed with two plies of 7.5 mil film that will deliver enhanced durability while making the drums cut live. a micro-clear coating gives the onyx heads a matte black appearance, produces more low-end and a punchier attack. The G1 blends warmth, sustain, and sensitivity. This 10mil single-ply sets the standard for an open and expressive sound. Tuned low, it produces a caverous rumble that emphasizes the natural sound of the shell. 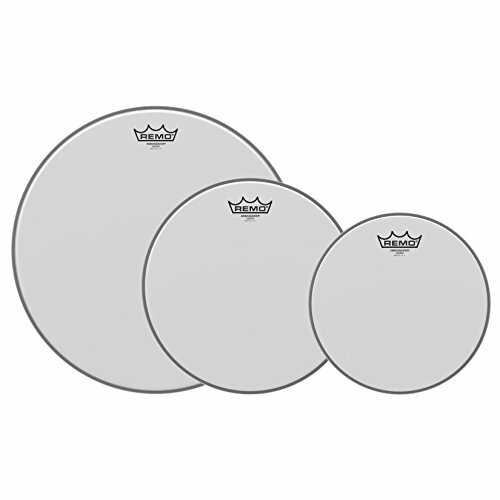 The Ambassador X Coated drum head features enhanced attack with wider mid-range tones and increased durability. Constructed with 1-ply 12-mil coated film, Ambassador X Coated heads provide a unique feel for enhanced stick rebound. Tom Pack Ambassador Coated 10", 12", 16". Looking for more Evans Head Pack similar ideas? Try to explore these searches: Eucerin Calming Itch Relief, 120 Conventional Truck, and Heater Oil. 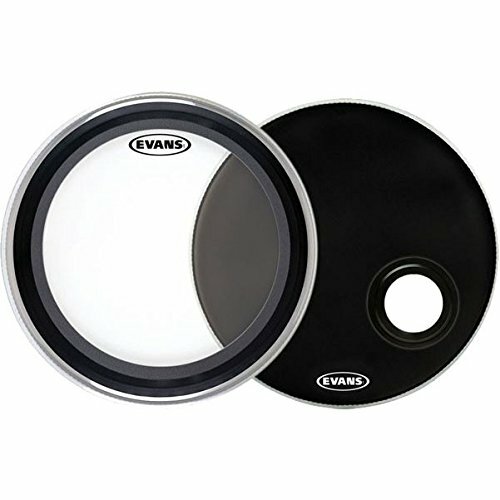 Shopwion.com is the smartest way for comparison shopping: compare prices from most trusted leading online stores for best Evans Head Pack, Tall Wood Tray Stand, Explorer Originals Tail Light Covers, Head Pack Evans . Don't miss this Evans Head Pack today, April 19, 2019 deals, updated daily.